Nic is the first disabled athlete to compete in the British Touring Car Championship (BTCC) and a committed partner with BigChange in promoting road safety. Nic story isn’t just inspiring, its life changing. BigChange: Tell us a little bit about your background; where are you from and what got you into racing? Nic Hamilton: I’m a race car driver by profession and a BigChange ambassador. 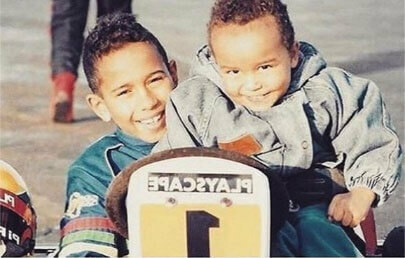 I’m the younger brother (by 8 years) of 5 time Formula One World Champion, Lewis Hamilton. We grew up very working class in Stevenage, Hertfordshire, to parents who worked on the railway. I was born two month premature with cerebral palsy. When we were little, my parents got Lewis a go kart, and he started racing on the weekend. As Lewis got older- by 13 – our family became very race focused. So it was a very natural progression to join the sport. In 2007 Lewis became first black formula 1 driver and that really pushed my interest into a different gear. Wheelchair bound for 16 years, Having an operation at 4 years was certainly difficult but by 2011 I had broken into racing myself. BigChange: What was your family’s reaction to your commitment and dedication to racing? Nic Hamilton: My Father never treated me any different than a able bodied person. At 7 years old we started working back and forth on a go kart. I had a bunch of crashes, and went down a 6 foot drop which really gave my family a scare. After that, I always had a love for racing games, and even became British champion in video game. After 10 years (at the age of 17), I convinced my father that we had some difficulties many years before but that wasn’t going to get in my way. I would say my parents were cautious but supportive. It really helped when the motor sports association initially declined application. But after much perseverance and a ton of monitoring, I got my racing licence. Eventually I started in a motor sport feeder series and was followed by the BBC in a documentary viewed by 50 million people. BigChange: How have you made your mark (on and off the track) outside of your brother’s success on the track? Nic Hamilton: Being a Hamilton in motor sports, without a ton of money backing the process, it’s not easy. To many people it may be hard to step out of Lewis’s shadow but I try to ignore the connection and show how my personal story and dedication to the sport is amazing in its own right. Training and maintaining racing for able body form is very difficult. Realizing how many people are inspired by having a role model with physical limitations in motor sports has really helped motivate me the process. After 6 years of battling hard and forming strong partnerships, learning to do a ton of PR, I think I’m respected in the sport and can stand on my own accomplishments. BigChange: How has racing enabled you to overcome adversity? 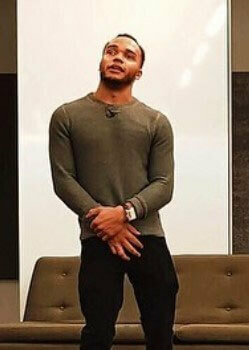 Nic Hamilton: There is always negativity, but you have to push through to achieve your goals. I’ve learned that the way to become well accepted and respected in the industry is through hard work. If you show the dedication to the sport, you’ll be seen as one of the guys and almost overlook what every limitations may be. BigChange: What were the core values that helped you in your drive for success on and off the track? Nic Hamilton: Not taking no for an answer. Having a goal and allowing yourself to make mistakes to achieve it. Keep on pushing. The best way to be successful is by learning from mistakes. Never forget the Importance in believing in yourself and ignoring negative criticism. BigChange: How long have your partnered with BigChange & why do you value your relationship with BigChange? Nic Hamilton: I’ve partnered with BigChange for the past 2 years. I met BigChange, and its CEO Martin Port, though a motivation speaking engagement for their monthly motivational Monday event. At first it was just another talk, nothing out of the normal. But soon I realized that BigChange was genuine and family oriented. The event at the time was only 20 people. It was a very casual and relaxed atmosphere. The whole event reminded me of what I really care about, that business is not just about money, its more about the relationships. After speaking with the BigChange team, and hearing Martin’s story I was very impressed by his generosity. Martin offered to sponsoring my racing as a partner and it really blew me away. Also as BigChange is growing as a brand, my career is progressing as well so it really is the perfect partner and (to be honest) like a second family. BigChange: Why do you support the Leaders for Life Campaign? Nic Hamilton: With BigChange’s desire to help others and prevent the dangers associated with road safety it seemed like a natural connection to partner in this program. As a race car driver its only logical to promote safe driving behaviour is important. Personal accountability is critical to saving lives. 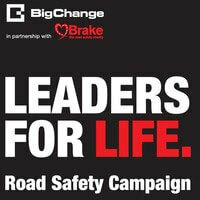 BigChange: How has your commitment to road safety grown through your partnership with the Leader for Life campaign? Nic Hamilton: I’ve always been in the mindset that safe driving is essential. The race track is for speed. On the road you need to be aware of all the other dangers. There is no need rush. You need to be responsible. If you can save just one life then you’ve done your job. So being an ambassador for the program really reinforced by already strong commitment to road safety. BigChange: What are you most looking forward to in the coming racing season? 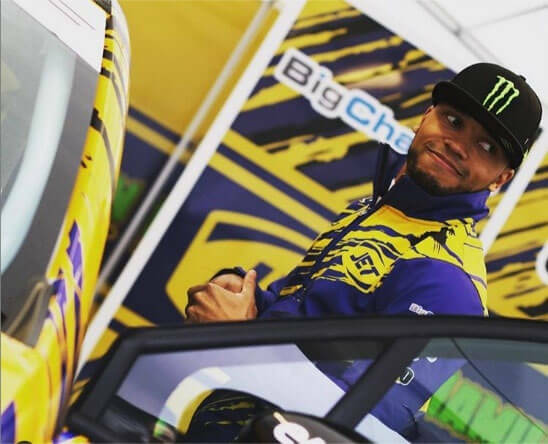 Nic Hamilton: Well, this coming season will be my first full year in British touring cars. It’s a fantastic opportunity to have a full shot at motor sport and channel my skills in very prestigious venues worldwide. Competing against seasoned professionals, and being the most inexperienced is tough. ‘I have a great team, car and partners behind me so when I’m in my car I recognise that I’m representing everyone behind me. Without their support I wouldn’t be able to achieve my dream. And I know the harder we work the more well grow together. BigChange: What lessons could you give to kids with physical or intellectual limitations about achieving your goals, overcoming difficulty and becoming a role model to others? 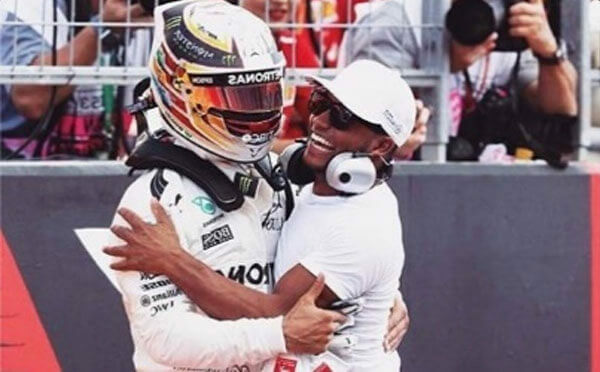 Nic Hamilton: The only people’s opinions who matter are your family and self. Everyone will say you can or can’t do certain things, but you’re the only one who can make that choice. And sometimes you need to learn from your mistakes, never be afraid to fail. Always continue to push through every barrier and realise what you can achieve. I wouldn’t have changed what I did to get me here, because my failures have helped me get to where I am today. Success doesn’t always come so fast but with patience it comes in the end. 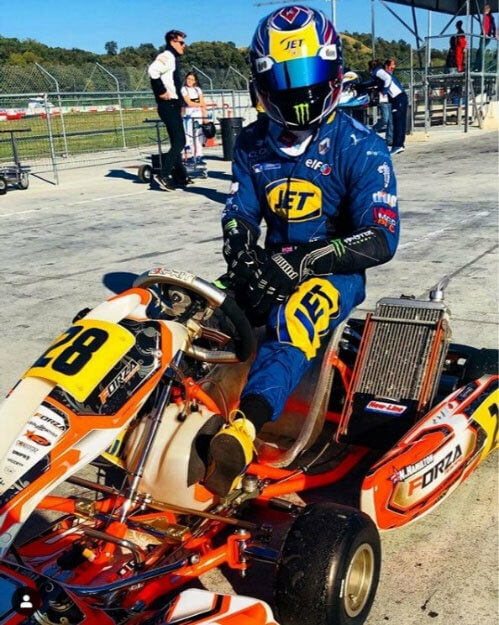 BigChange couldn’t be more excited to partner with Nic Hamilton in his quest for motor sports success. As a inspirational person, dedicated driver and strongly committed member of the road safety community, Nic represents exactly what hard work, drive and never giving up can achieve. We look forward to sharing in Nic’s upcoming races and support him and the Leaders for Life community in promoting road safety and driver accountability.